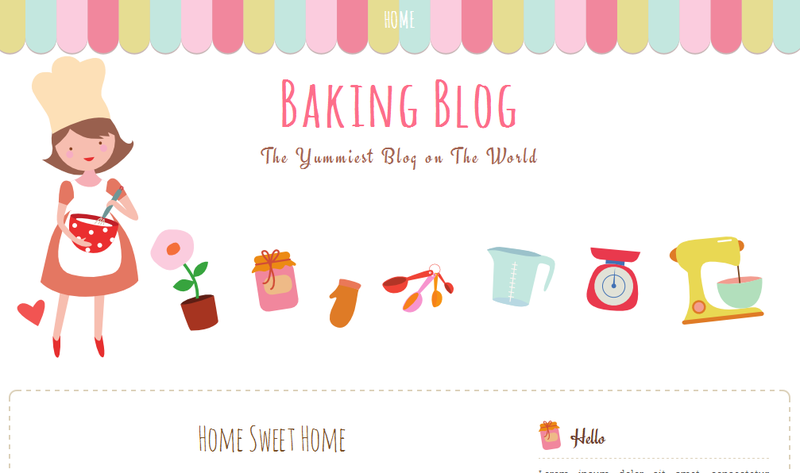 Free blogger template for baking blog. Two columns layout with no background graphic, but a cute header baking graphics as a center of attention. Use this baking blog cute free template for your cooking or baking blog. Preview this cooking blogger template HERE and download XML file HERE. Note that there's a download button on right top page. Do not copy the file but download it then follow this instruction How to Install Blogger Template.